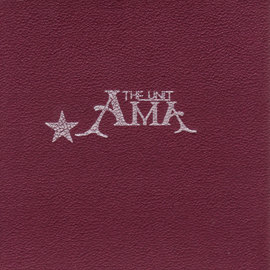 Gringo Records - THE UNIT AMA - "The Unit Ama"
In addition to appearances on a number of compilations, The Unit Ama’s songs have found a life of their own through the band’s self-released Variations series. Now in its third instalment, Variations allows other artists free range to reinterpret a band’s output as they see fit, further reinforcing the idea that The Unit Ama's music is not their own property, but that it somehow exists without a need for a definitive article and is much yours as it is theirs This free-wheeling approach to music making characterises The Unit Ama’s first album. This is not anthemic, easy listening, but something far more challenging and ultimately, rewarding.